Positively puzzled is owned by stay at home mom and puzzler Kim Dumas. 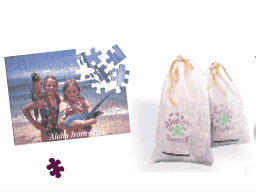 Based on your photograph they will create a puzzle using archival ink and printed on high quality paper. The puzzle will come unassembled in a cool bag. The puzzles are vavilable in different levels of difficualty and sizes. If you like to carry your photos with you, why hide them in your purse? Kimbra Orr has been one of the pioneers in making personalized photo jewelry. Her designs are both contemporary and classic and each piece is hand made with the highest quality in mind. 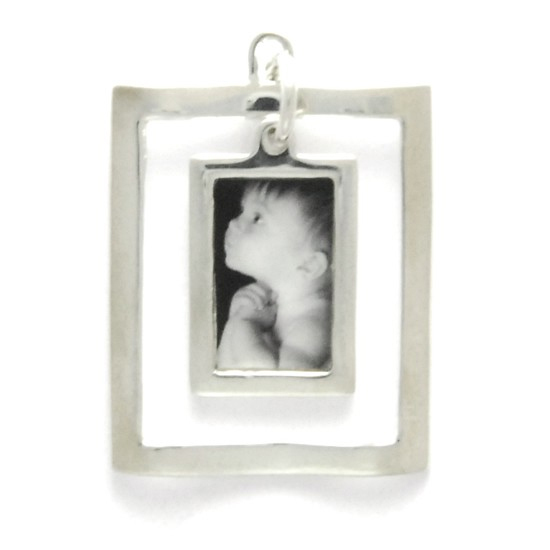 Take a look at this personalized photo two piece pendant made of Sterling silver for only $58. 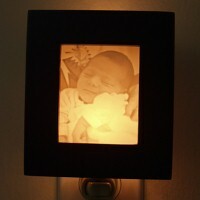 Love these Night Lights by Light Affection. 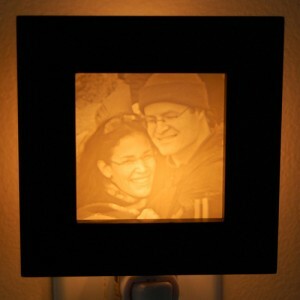 Based on any photo you provide they carve a piece in a unique technique and assemble it into a complete Night Light. When the light is on, the photo magically appears. 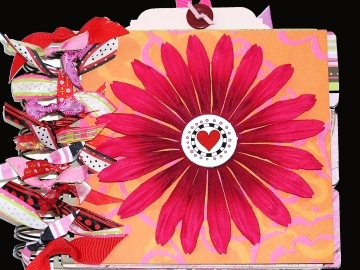 They are so unique and pretty and extremely affordable, only $44.95. You can order on line, uploading a digital image or mail your photo with a form printed of their web site.